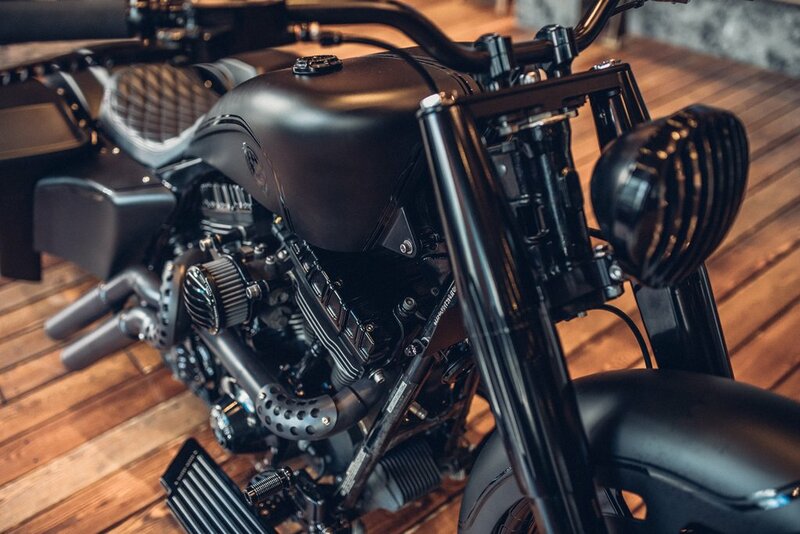 Harley-Davidson has some of the deepest roots in the motorcycle industry, tracing back to the early 1900s when the all-American company was originally founded in Milwaukee, Wisconsin. 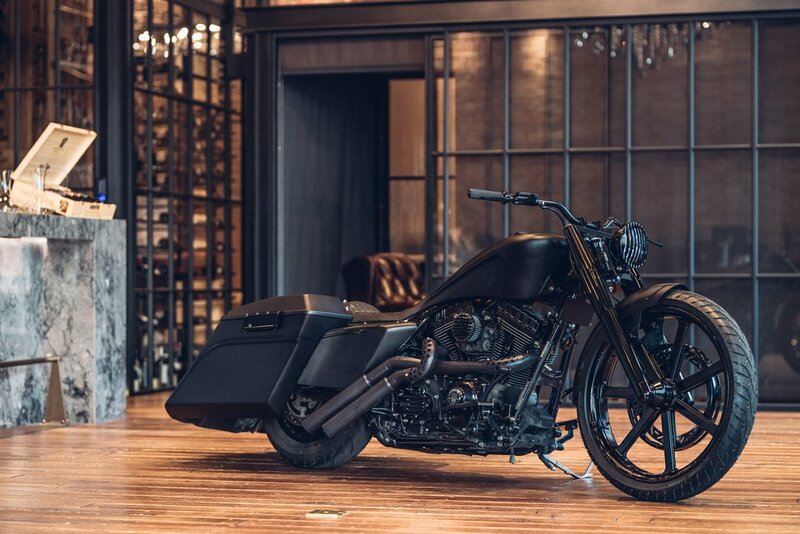 Over the past century, they’ve made their mark on the industry by creating some of the most iconic, reliable vehicles to ever traverse the pavement – and now, their 2012 Road King has gone under the knife thanks to the talented team at Taiwan-based Rough Crafts. 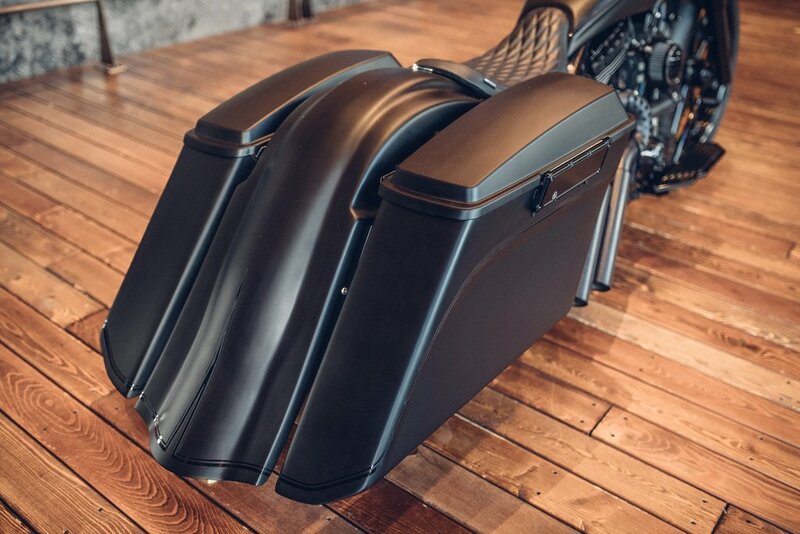 The “Bagger” is a touring bike, first and foremost – utilizing a hearty frame that’s complemented by trademark down-and-out saddlebag-storage compartments fixed to the rear fender, creating a skirt to hide the intricate exhaust system underneath. 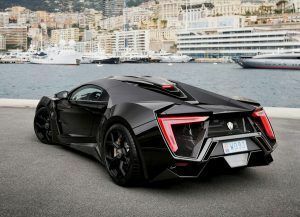 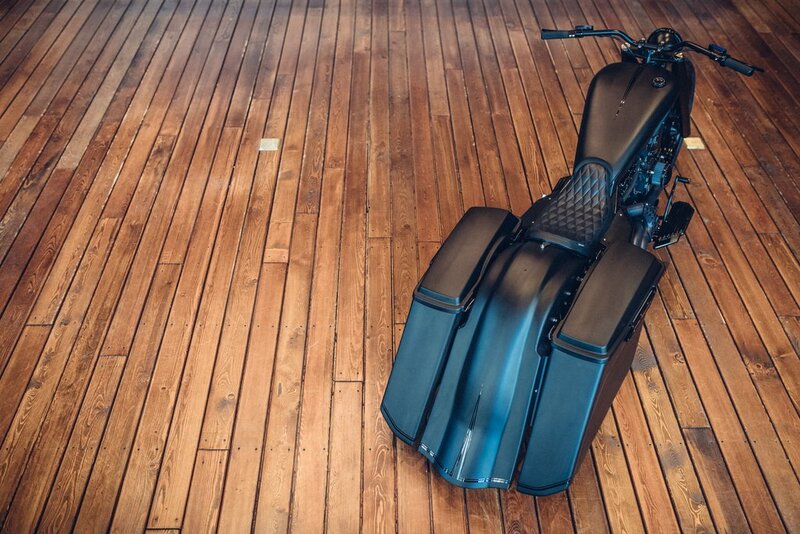 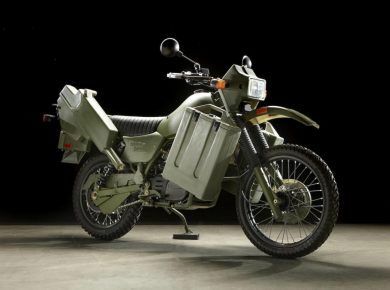 The rear portion of the bike was constructed using a lightweight composite material, alongside beveled saddlebag latch covers and numerous peripherals that are clad in an imposing matte black paint. 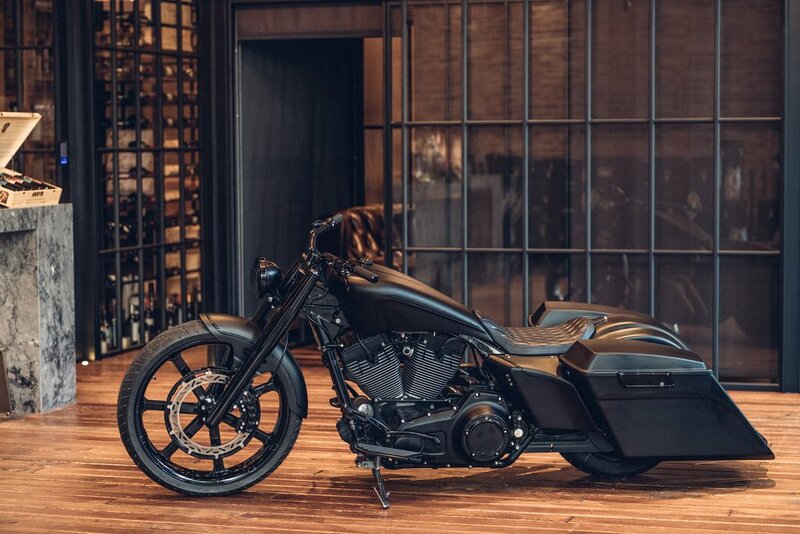 An Arlen Ness fender adorns the front of the bike, accompanied by a hand-crafted tank that serves to elongate the Road King, giving it a sleek silhouette that fans out at the rear. 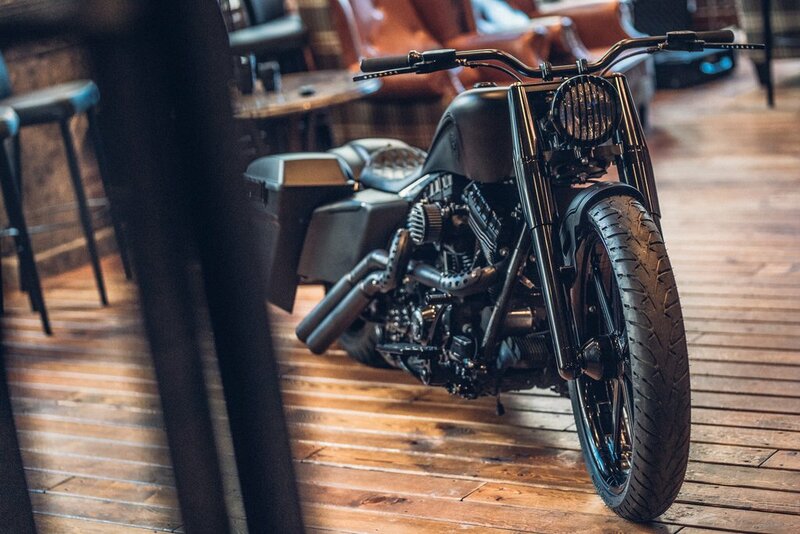 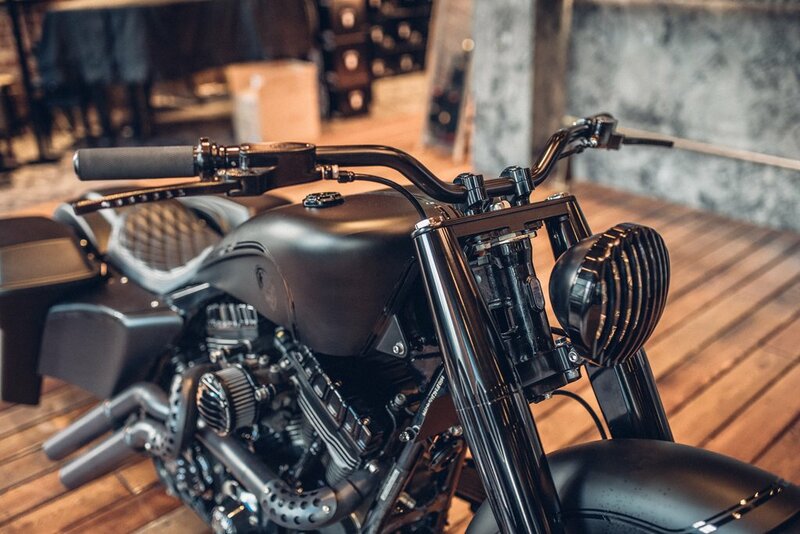 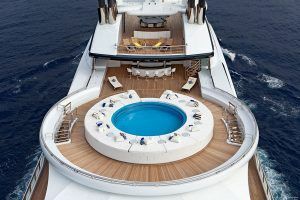 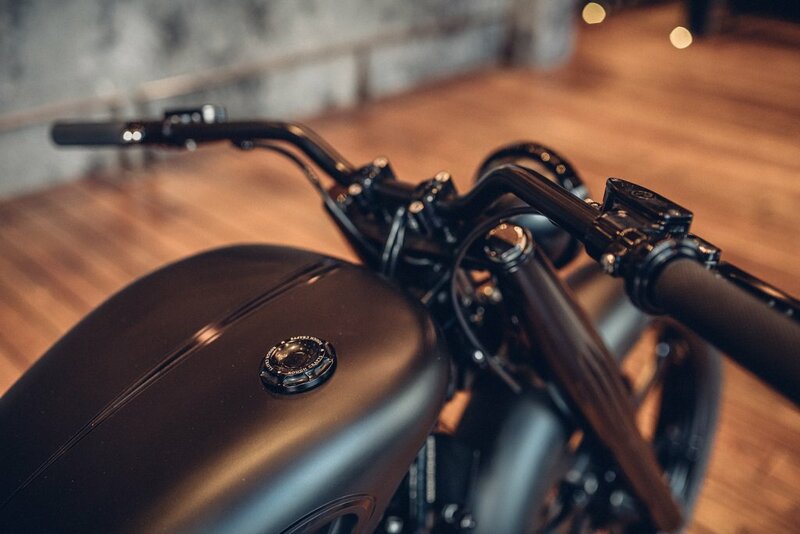 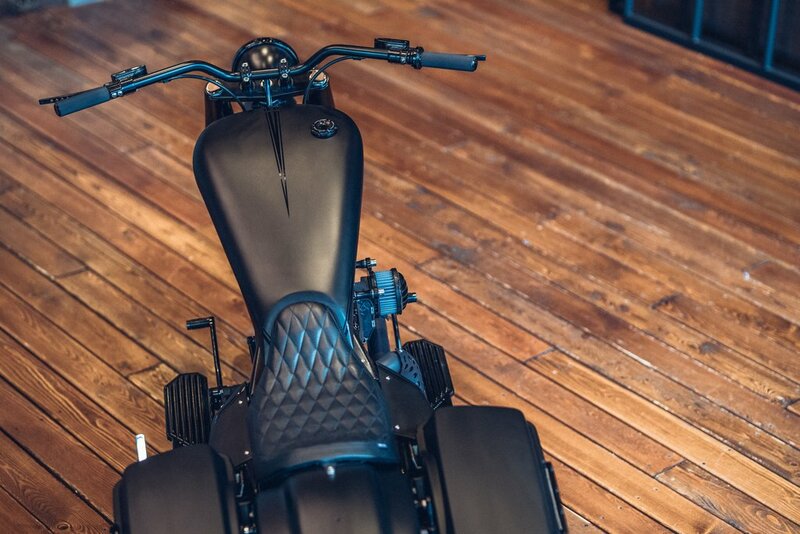 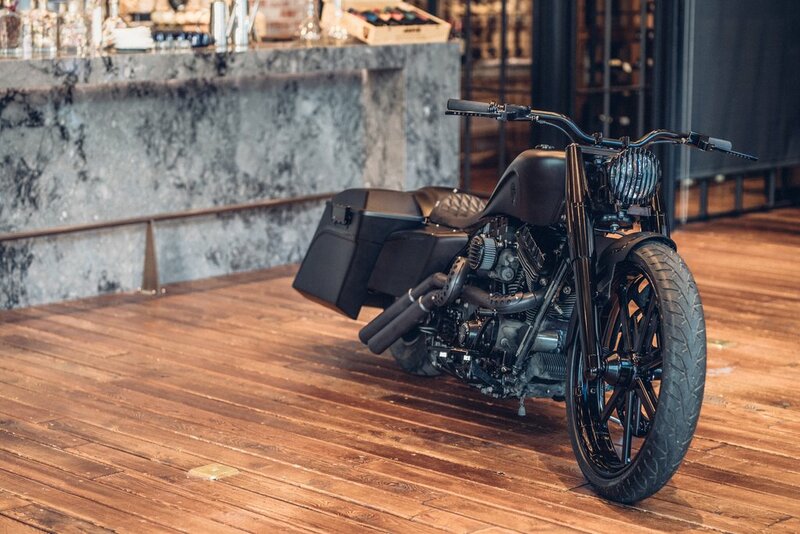 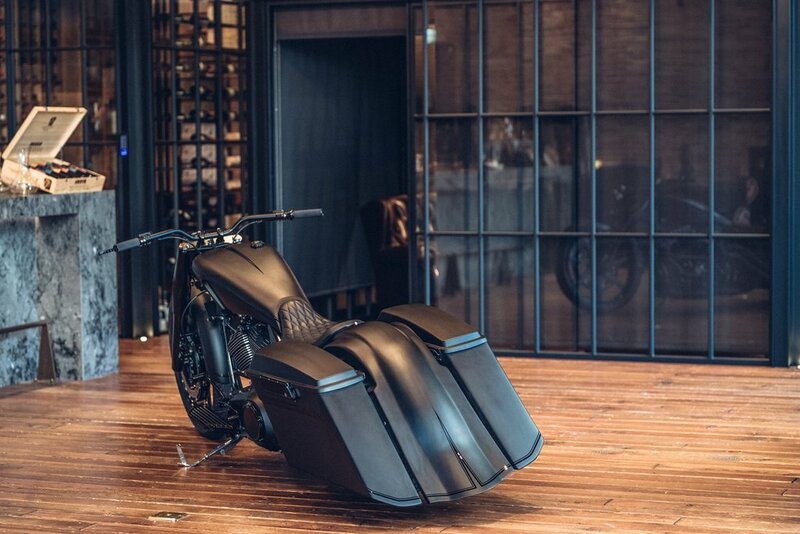 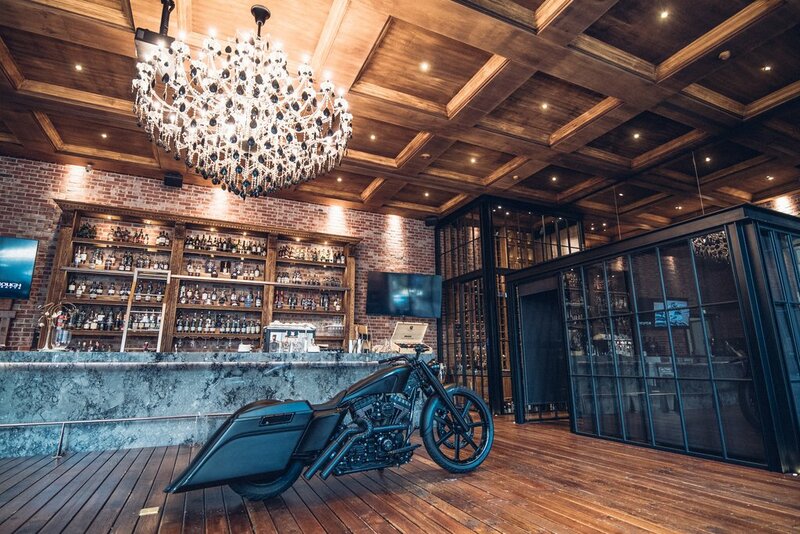 Custom metal work and shaped knee dents run along the lateral sides of the bike, while a diamond stitched black leather throne adorns the top of the impeccable blacked-out chassis. 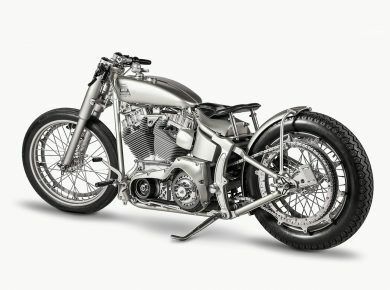 On the front end, progressively sprung forks and Arlen Ness Hot Legs provide an intimidating stance, complete with a 23-inch Pirelli Night Dragon tire and a beveled Arlen Ness wheel. 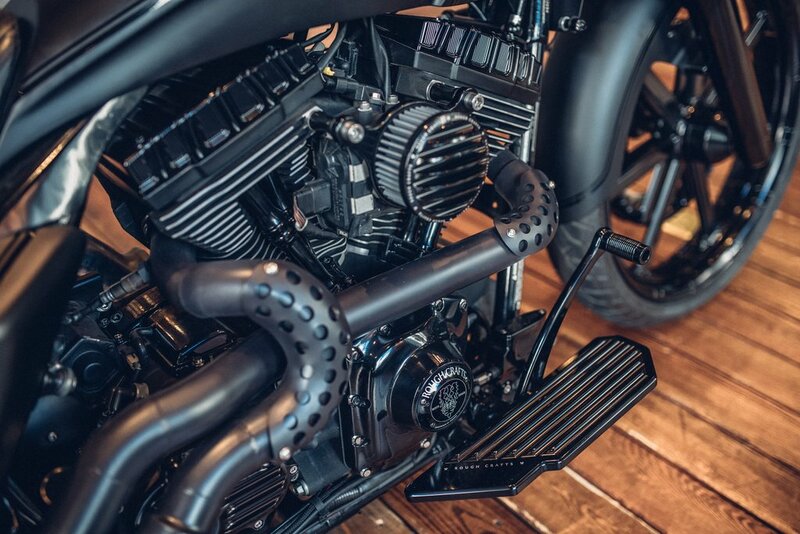 A Legend Air Ride system gives the Road King a variety of different operating heights – which, when coupled with an HD 96ci Twin Cam motor and a Performance Machine hydraulic clutch, six-speed transmission, and custom lifter block – round out the one-of-a-kind noir-inspired tourer. 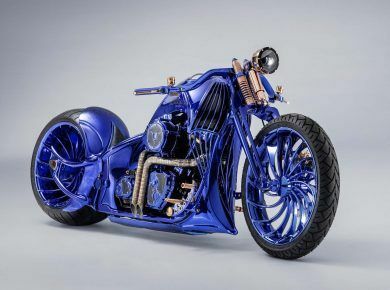 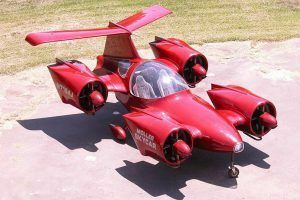 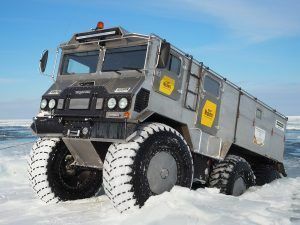 Also we recommend you to check our list of 10 fastest motorcycles of the world.